This is my latest creation - using vintage pine cone ornaments (50s) plus some modern bits: the sequinned and tinselled apples and branches. Here's a closeup, showing my own snowballs (heavy gel medium applied with a palette knife onto polystyene balls, then glittered with 3 different types of glitter all mixed up). 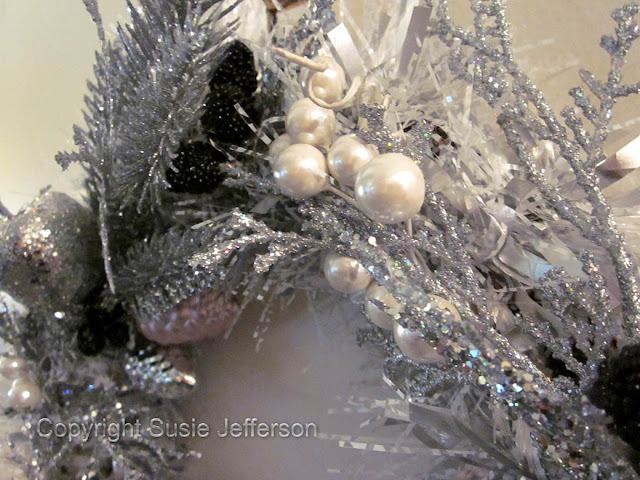 The base is a simple twig wreath, which I wrapped with a single length of tinsel to bulk it out - then in with the sparkly and glittery twigs etc. 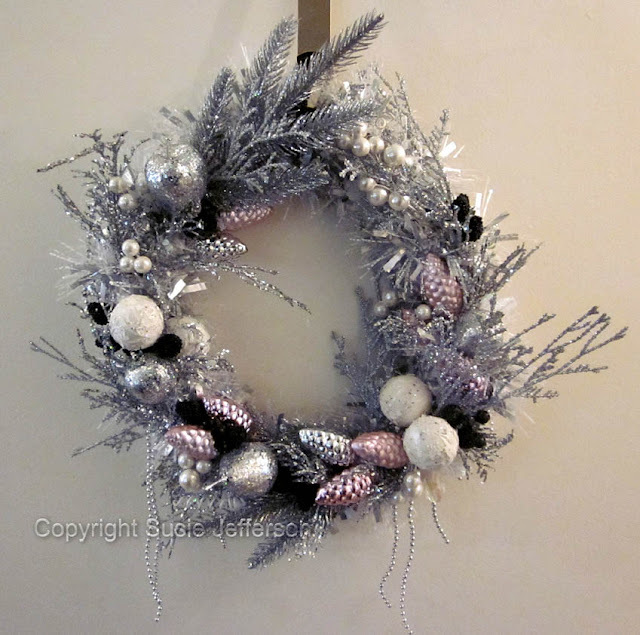 My other wreath (scroll down a couple of posts) is the traditional reds and golds, etc. Glue guns are now my very bestest friends! Thank you all so much! So glad you like it - it was a lot of fun to make. 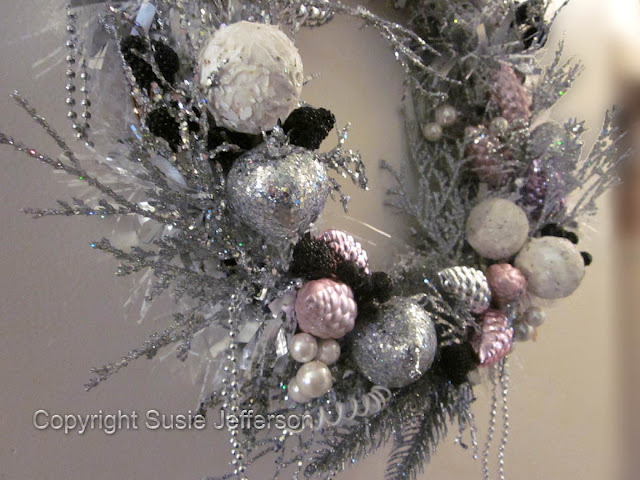 Susie, I love your wreath. The addition of the 1950's pine cones makes it very special. Susie this wreath is perfect - I can see you using it all winter long. Looks like Jack Frost came to play. Love it!